This is the first time for both of them. When untried alpha werewolf Wyatt defies pack traditions to court a beautiful outsider, he endangers them all. Now, with a rival pack attacking, Wyatt must defeat his enemy, or risk the death of his pack and his new love. If you like strong, curvy heroines, tender-hot alphas, high passion and a bit of danger, you'll love Q. Zayne's Werewolf's First Love. Click Buy to enjoy Wyatt's claiming of his fated forever mate. 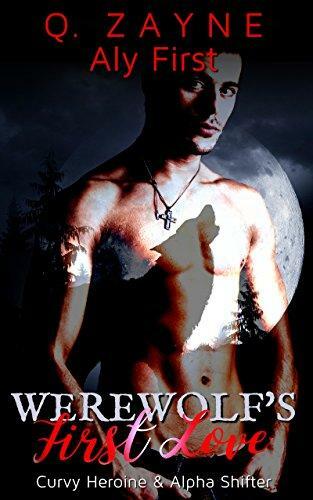 Werewolf's First Love is a 26,000-word steamy Paranormal Romance novella from the alpha's point of view. This is a standalone with no cliffhanger and no cheating. Rated mature 18+. This book contains high-heat scenes, with respect, and an HEA. This edition includes three brief previews: two other Curvy Claimed Mate Paranormal First Times standalone novellas and the Submission Island serial.